People Want To Tell You How They GetYou! Orit Mossinson is the founder of GetYou with one thing on her mind – to challenge the leading social networks. The Idea came to her mind while she was watching a show called “The Blue Man Group” in London, and her friends urged her to go on the stage with lots of other fans. Since she was not interested in doing so, Orit left the place, but instead of feeling uncomfortable with the situation, she set down in a coffee shop and tried to get an insight out of it. She then came to the conclusion that while every person has several aspects to his or her personality and while we might be similar to our friends in some ways, we might be completely different in others. The social networks show us one aspect only most of the time. We get to know new people who are socially close to us, but this does not mean they are the ones we should be friends with. Since each one of us human beings have many sides, social networks should be able to identify them and offer friends accordingly. With a vast background in investment banking and after leading several hi-tech companies, Orit decided it was the right time to start her own venture and so she called some friend she worked with before and formed GetYou. 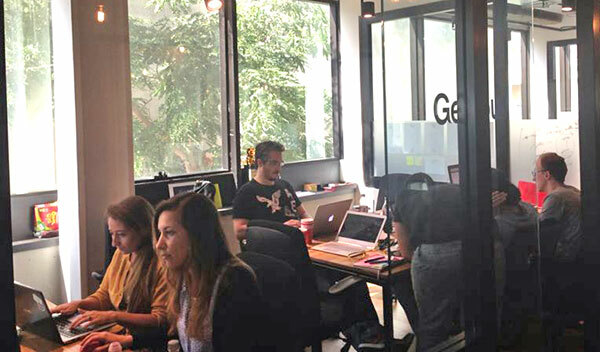 GetYou works from “MindSpace” – a work space for startups in Tel Aviv, and are currently looking to add python developers to their team.